Dr. Sam Christian, who recently resigned as deputy political leader of the Dominica Freedom Party (DFP) may contest the Soufriere constituency seat on a United Workers Party (UWP) ticket. At a meeting held recently at the home of a former UWP candidate in the Soufriere constituency, members of the party branch voted overwhelmingly for Dr. Christian to be the UWP candidate, a UWP source told the SUN. "He is on the ground and working and is in constant touch with the people and is a very good candidate," the source disclosed. Dr. Christian has recently been seen in the constituency along with UWP deputy leader Joshua Francis in dialogue with constituents. But Dr. Christian neither confirmed nor denied that he will be the next UWP candidate in the Soufriere constituency. In an interview with the SUN newspaper, Dr. Christian said that while he would have loved to contest the upcoming general elections on a DFP ticket but that is now entirely dependent on the leadership of the DFP. "If not, then I may support the candidate or go as an independent or otherwise," he said. He admitted that he was part of a UWP meeting in Pointe Michel where certain decisions were taken to endorse him as the UWP candidate for that constituency. "I am aware of the meeting and what was said and discussed but another meeting will be held and we will discuss that further…for now it is kind of off my hands since the people have the final say. For now I am on the ground as usual and further concentrating on my medical practice," Dr. Christian said. 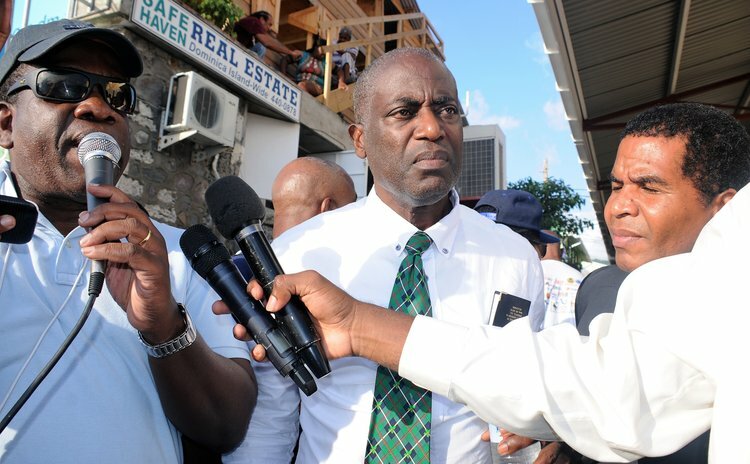 In response UWP leader Lennox Linton also did not confirm or deny that Dr. Christian would run for the UWP in Soufriere. Linton said the issue of Dr. Christian's candidacy is "an open one" and that as time goes on it will be all about "bonding and negotiating". "We hold six seats; we are talking to Dr. Christian and the DFP. We have never won the Soufriere constituency but have done well there over the years; it was always a DFP seat. Dr. Christian is actually working and bonding well with the people and we are also doing our work in a very careful way," Linton said. Dr. Christian added that he is still a member of the DFP. "I stepped down from the DFP executive because I had a difference of opinion from them especially when the leader Kent Vital said that they were going to run and win 21 seats and they did not want to have any collaboration with the Workers Party," Dr. Christian said. "I did not see this as being reasonable and logical and so I decided to disassociate myself from that but I am still a Freedomite. I talk to Labourites and Worker-rites and so together all of us can do something to move our country forward".